The British government used bombs and covert tactics to try to thwart the settlement of Palestine by post-World War II Jewish refugees, according to a new book by Keith Jeffery, titled "MI6: The History of the Secret Intelligence Service 1909-1949." The British government has independently verified Jeffery's revelation. Jeffery, a historian from Northern Ireland, notes that his book was "published with the permission of the Secret Intelligence Service and the Controller of Her Majesty's Stationery Office." According to Jeffery, the British undertook the effort -- dubbed, oddly enough, Operation Embarrass -- in order to curry favor with oil-rich Arab states upset over the Jewish migration to the Middle East. The Daily Beast's Andrew Roberts broke the news of the book's disclosures. 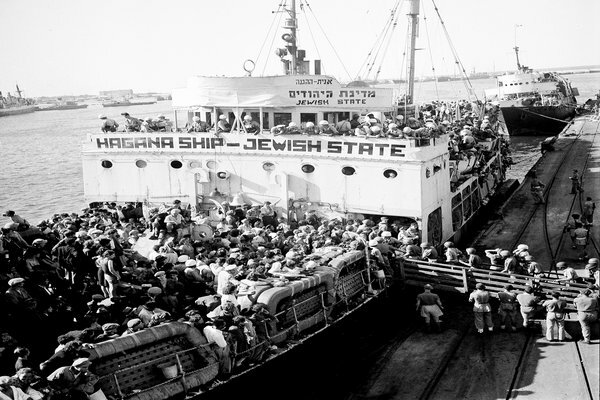 MI6, Britain's secret intelligence service, planted explosives to disable ships before they could transport Jewish men, women and children from Europe to Palestine. Britain controlled Palestine at the time and, partly due to pressure from wartime Arab allies, adopted a policy of strictly limiting Jewish migration to British-controlled lands in the region. In May 1948, the British left and Israel declared independence. In addition to the direct physical sabotage, Roberts notes, the British launched a disinformation and propaganda campaign to impede the settlement. Launched on Feb. 14, 1947, Operation Embarrass operated with a budget equivalent to $47,000 -- not an insignificant amount at the time. It began by dispatching a team of agents to France. The spies -- traveling under the guise of yachtsmen -- planted bombs on five ships docked in Italian ports in the summer of 1947 and early 1948. One ship was destroyed, two damaged; the explosives were discovered on the other two ships before they were detonated. British authorities were able to escape responsibility because the Italian investigators ruled out the idea of British-sponsored attacks on the ships. Instead, the Italians believed the likely culprits were Arabs using British-made explosives. According to Jeffery, "the primary consideration" of the mission was "that no proof could ever be established between positive action against this traffic and His Majesty's Government." In the event they were caught, British agents were under orders to claim that they'd been recruited in New York by anti-communist businessmen working "mainly in the oil and aircraft industries." Or as the Daily Beast's Roberts puts it, they were to "lay the blame on rich, right-wing, unnamed Americans." At the time, the British controlled much of the land in Palestine, and the British government technically viewed the Jewish settlers to the region as illegal immigrants. Still, before these latest revelations, no one would have suspected that the British launched deliberate attacks on Jewish settlers. All of which compounds the irony of the MI6 putting forward an attempt to undermine large-scale Jewish settlement in the region under the name Operation Embarrass. As the Daily Beast's Roberts writes, "The country that ought to be embarrassed by Operation Embarrass  indeed shamed  is Great Britain, which used explosives to try to stop truly humanitarian flotillas after the Holocaust, but now condemns embattled Israel for halting entirely politically inspired flotillas to Gaza despite her rights of legitimate self-defense." 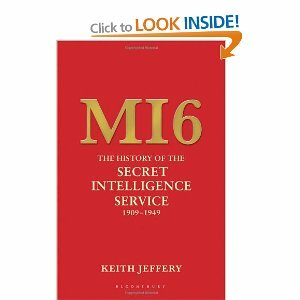 "MI16: The History of the Secret Intelligence Service 1909-1949"
This is an excerpt from Andrew Roberts' review of Jeffrey's book. The review is entitled "WW2 Britain Blew Up Jewish Refugee Ships" (http://news.yahoo.com/s/dailybeast/20100919/ts_ dailybeast/9998_mi6attackedjewishrefugeeshipsafterwwii). "Of course the hostility of the British establishment toward Jewish immigration into Palestine since long before the notorious 1939 White Paper on the subject is well-known  even King George VI wrote that year to say that he was "glad to think that steps are being taken to prevent these people leaving their country of origin"  nonetheless this is the first indication of the violent lengths to which post-war Britain was willing to go in order to appease the oil-rich Arab states of the region. For it now emerges that in late 1946 the Labour government of Clement Attlee asked MI6 for "proposals for action to deter ships masters and crews from engaging in illegal Jewish immigration and traffic," adding, "Action of the nature contemplated is, in fact, a form of intimidation and intimidation is only likely to be effective if some members of the group of people to be intimidated actually suffer unpleasant consequences." Among the options contemplated were "the discovery of some sabotage device, which had 'failed' to function after the sailing of a ship," "tampering with a ship's fresh water supplies or the crew's food," and "fire on board ship in port." Sir Stewart Menzies, the chief of the SIS, suggested these could be blamed on an invented Arab terrorist group called The Defenders of Arab Palestine."